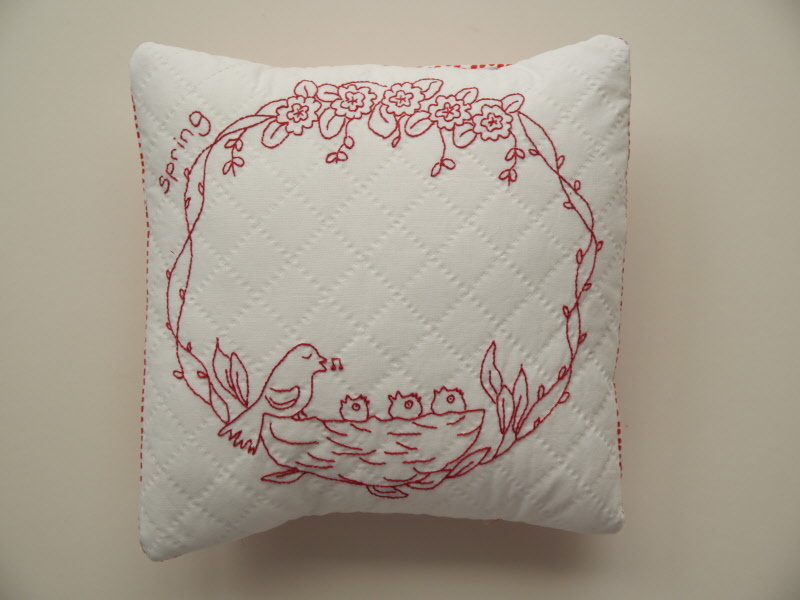 This beautiful cushion has been designed by Sue Rhodes and features a sweet little nest with the bird singing to her chicks. It has been designed as a hand embroidery design and the panel has the design pre-printed onto it, so that you can start stitching it straight away. There is also a skein of thread included in the starter kit, along with the pattern too. The cushion measures approximately 12 x 12 inches square.